Cal Calot is an old farmhouse, with written references harking back to the 18th century. The house is located at the foot of the “San Lleïr” hill, also called “Cal Calot” hill, at 990m above sea level, nestled in the middle of the mountainous landscape of the “Valle de Lord”. Less than 10 minutes from Sant Llorenç de Morunys, 5 minutes from the “Llosa del Cavall” reservoir and half an hour from “Port del Comte” Ski Resort. The house is completely restored, offering modern equipment to make your stay comfortable but preserving the charm of old country houses. It consists of a large room with fireplace, fully equipped kitchen, rooms with parquet floor, private bathroom in each room, comfortable beds, and wardrobes … all brought together to make you feel at home! Ideal for families, for young and old members! deal to enjoy with friends! Please come and enjoy one of the best natural surroundings in the country, where you can practice many outdoor activities or just rest and re-embrace nature! 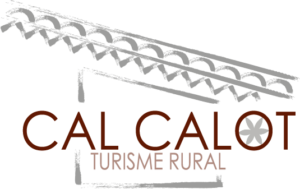 In short, “Cal Calot” and the “Vall de Lord” are the best places to spend some fantastic days with those you love the most! 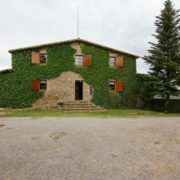 We also have other rural houses in Casserres, Berguedà. 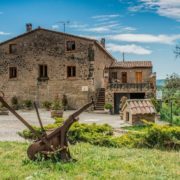 You can check the website of Casa Barbats, which offers 4 rural houses -with capacity up to 17 people- and the website of Masia Cal Fàbrega (for large groups up to 30 people. ).